Bangkok (Thailand) – October 12, 2018 (travelindex.com) – Rolls-Royce Motor Cars Bangkok is unveiling an exclusive, riverside auto showcase to create a new touchpoint to further expand the marque’s presence in the western and northwestern provinces, with special promotions on offer from November 9, 2018 through January 20, 2019 at ICONSIAM. 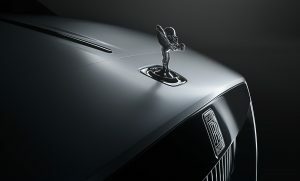 Rolls-Royce Motor Cars Bangkok General Manager Sunthornpan Dhechatech noted that marketing any product in the luxury segment is a delicate combination of showcasing the highest levels of luxury through easily understandable presentation forms. Given this requirement, more brands place emphasis on choosing the right location in order to reach out to their target group of customers, conveniently and effectively demonstrating brand qualities and products to them as a result. As luxury car marques follow the trend above, many areas in Thailand have seen a steady increase in automotive-related exhibitions and in-mall showcases. The opening of this showcase is aimed at making the Rolls-Royce brand more conveniently accessible to target segments, whilst also creating brand visibility to further enhance brand recognition by taking advantage of a variety of product displays, media channels and events. Every luxury retail location has unique factors that contribute to its appeal; the new ICONSIAM has been selected as the location of Rolls-Royce’s latest showcase because it has clearly-defined character and target customer group. With its investment of THB 50 billion, ICONSIAM will certainly redefine Thailand’s lifestyle retail experiences, claimed to be one step ahead of elsewhere in the world. In line with this is Rolls-Royce’s vision to appeal to a new generation of younger, highly successful self-made individuals, as seen with the South East Asian launch of Black Badge in Bangkok and with its new all-terrain conquering SUV, Cullinan. Occupying a space accentuated by modern and luxurious touches befitting of the Rolls-Royce brand, the exclusive showcase at ICONSIAM serves primarily as an additional touchpoint to help create brand awareness for Rolls-Royce in the Western and Northwestern provinces. In addition, the showcase also offers more touches of lifestyle as it is presented as an art gallery with cars on display acting as centerpieces. In celebration of the opening of this showcase, Rolls-Royce Motor Cars Bangkok is offering a very special promotion campaign for our valued customers running from November 9, 2018 through to January 20, 2019.